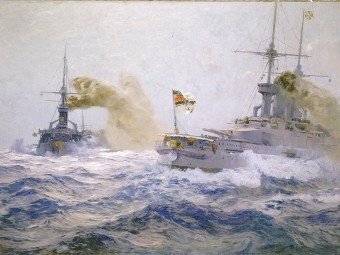 The intense rivalry in battleship building that took place between Britain and Germany in the run up to the First World War is seen by many as the most totemic of all armaments races. Blamed by numerous commentators during the inter-war years as a major cause of the Great War, it has become emblematic of all that is wrong with international competitions in military strength. Yet, despite this notoriety, ‘the Great Naval Race’, as it is often called, has not received the attention that this elevated status would merit. In particular, it is rarely, if ever, considered in the round. Thus, although it has previously been examined, with good existing studies revealing the perspective either of London or of Berlin – that is to say as a facet of one nation’s policy-making process – it has never been examined from the viewpoint of both of its participants simultaneously and equally. This volume, which contains a comprehensive survey of the existing scholarship on this topic, both English-language and German, as well as important primary source materials from a range of archives in both Britain and Germany, will fill this gap. 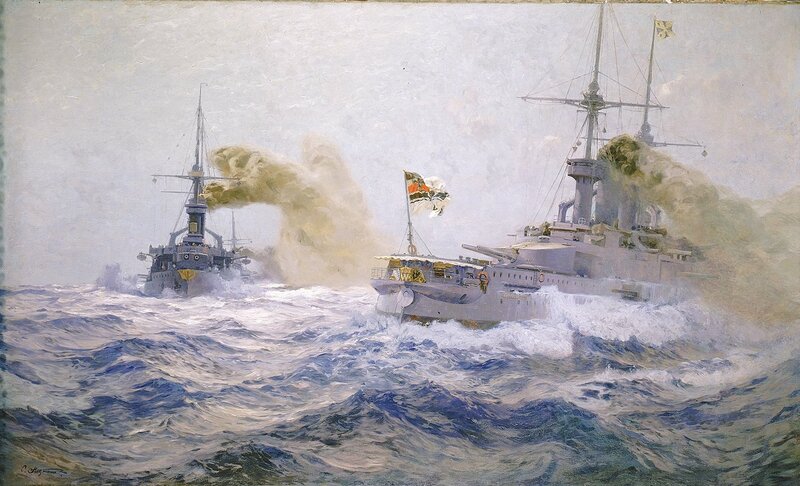 By putting the actions of the British Admiralty side-by-side with those of its German counterparts, it will enable the naval race to be viewed comparatively and will, thereby, facilitate an understanding of how the two parties to this conflict interacted. In this way, the international dynamic of this armaments competition will be fully revealed. In addition, by offering a comprehensive range of German documents in both their original text and in English translation, it will make the German role in this conflict accessible to an English speaking audience for the very first time. As such, it is an essential volume for any serious student of naval policy in the pre-First World War era. Matthew S. Seligmann is Professor of Naval History at Brunel University London. An expert in Anglo-German relations before the First World War, he is the author of Rivalry in Southern Africa, 1893-99 (1998); Spies in Uniform: British Military and Naval Intelligence on Germany on the Eve of the First World War (2006); Naval Intelligence from Germany: The Reports of the British Naval Attachés in Berlin, 1906-1914 (2007); The Royal Navy and the German Threat, 1900-1914 (2012); and Military Intelligence from Germany 1906-1914 (2014); and the co-author of Germany from Reich to Republic, 1871-1918 (2000); Leadership in Conflict 1914-1918 (2000); Losing the Peace: Failed Settlements and the Road to War (2009); and The Naval Route to the Abyss: The Anglo-German Naval Race 1895-1914 (2015). Dr. Michael Epkenhans is professor of modern history and chief historian at the Centre for Military History and Social Sciences of the German Armed Forces at Potsdam, Germany. He also teaches modern history at Potsdam University. In 2008 he published the biography Grand Admiral Alfred von Tirpitz: Architect of the German Battle Fleet. Dr Frank Nägler is a retired Commander in the German Navy. He has published several articles on the history of the German navy as well as of the Bundeswehr.